Miami Beach is known for having one of the most inclusive LGBTQ+ communities in the world. Pride Week is a legendary weeklong celebration of LGBTQ+ life, culture, and community - and Washington Park Hotel is in the middle of it all. Here are the need-to-knows about the 11th annual Pride Week in Miami Beach, plus the hottest events to drop in on while you’re partying it up. “Openness may not completely disarm prejudice, but it’s a good place to start.” - Jason Collins, retired NBA player and first openly gay male athlete to play in U.S. professional sports. Pride Week brings together members of the LGBTQ+ community, their friends, allies, and supporters in celebration of the unique spirit and culture of the LGBTQ+ community. 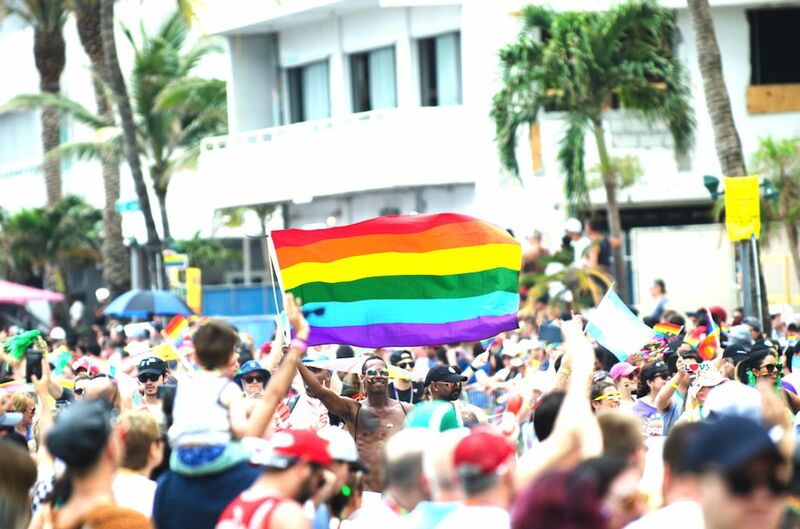 Show your Miami Beach Pride with fun rainbow gear as you partake in a week of special events, social mixers, dance events, and an incredible 2-day festival culminating in an epic parade along Ocean Drive. The annual parade and festival features community booths and expo areas, stages with live entertainment, food and drink vendors, and family-safe play areas. Rainbow colors light up the sky for the entire week, as venues around Miami project LED light or digital projections on the exterior of buildings. The 3rd annual ‘Pride Lights the Night’ is in special remembrance of PULSE victims. Colorful flags and window displays pop up all over Miami to show support and solidarity for the LGBTQ community. The week is jam packed with events, but we’ve rounded up the best of the best. Visit PAMM for a night of live music, drink specials, drag performances, and more during the free community event on their waterfront terrace on Thursday, April 4th from 7 - 11 p.m. Visit the Pride Festival Village in Lummus Park, only steps from Washington Park Hotel, April 6th and 7th for an all day party featuring vendor booths, food and cocktails, surprise performances, world-class DJs, and celebrity entertainers. 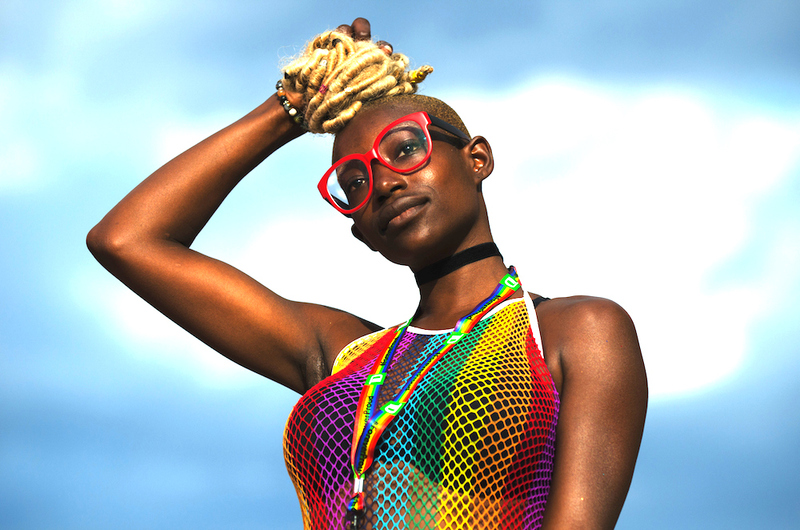 Featured headliners include Emily Estefan, Icona Pop, and Tito Puente Jr.
Get loud and be proud at the Pride Parade, arguably the main event of the entire week. Contingents march through the heart of Miami Beach, along Ocean Drive, with more than 3,000 participants and 140,000 spectators anticipated. Catch the parade on Sunday, April 7th from 12 - 2 p.m. But these are just the major events - the Miami Beach Pride offers a wealth of gay-oriented and LGBTQ-friendly shows, parties, celebrations, and more. View the entire lineup here. Make Washington Park Hotel your home base during Pride Week. Share a photo of your visit with us at #WherePlayHappens and if you don’t already, keep up with us by following the WPH Instagram for all the hottest deals, travel tips, and tricks for a memorable SoBe getaway. Check out our special offers to begin planning your SoBe escape with Washington Park Hotel, where smart design and cool people mix as easily as cocktails. Book three nights or more and enjoy savings of up to 25%, receive a $25 credit towards food and beverages from our Kenmore Lobby Bar, free classes at Glow Hot Yoga, and more.